Type in your date of birth in the form of day-month-year into the above and click on the Calculate button in order to calculate your age. As a result of our researches, we have seen that people wonder many things throughout their life. We also know that people search for answers on the Internet for the things they are wondering about. As we have progressed so much in the Internet world and virtual environment, we have decided to find an answer for one of the most wondered about topics. We only made researches about the day concept because the only purpose of our website is the day word. In short, we have seen that one of the most wondered about things is age. This is why we have decided to create an online age calculation tool. 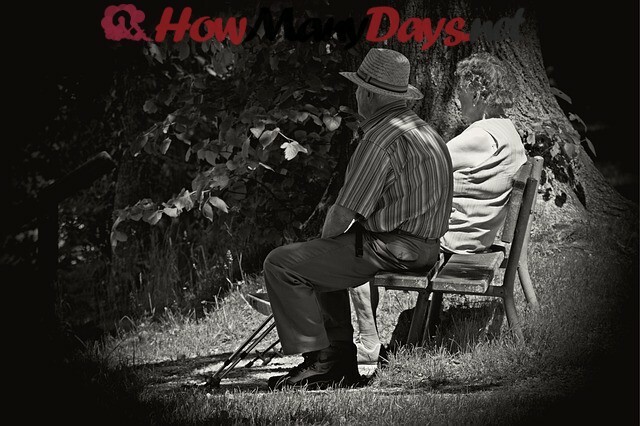 As a result of the specific research on the age calculation topic, we have seen that people wonder about the age they are at or how many days they have been living rather than their age. This is why our online age calculation tool needed to meet many requests. We have placed the age calculator tool above. You can calculate your age online and learn many details regarding your age. We hope that you will find answers to your age-related questions thanks to this calculation tool. We would like to note that we have benefited many platforms while carrying out our researches. Especially, Google Adwords is at the top of these platforms. We have taken advantage of this service and shaped the software in line with your requests. The most important criteria for us, the website team, is to carry out works which will be beneficial to our visitors. At the end of our researches, we have examined the combinations that users use in terms of their age and we wanted to appeal to those who are interested in these search queries. 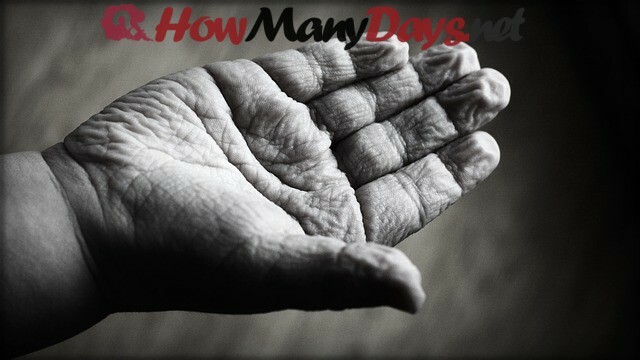 Age is the calculation of the days of a person from his or her date of birth to today in terms of the calendar year. How can I Calculate How Old I Am? It is possible to see terms such as turn in, be in, and have passed in the age calculation topic. Before we explain these terms, let us explain the age statement that people use. When a person is asked “How old are you?”, the answer is usually not the age he or she turned in, but the one he or she has passed. For instance, if a person lives for 29 years and 10 months, this person will say he or she is 29. This means that our age is not we “turned in”, but we “have passed.” We had to make an explanation since we saw that many people are confused on this issue. Of course, we have also provided how old you are in detail in the form of how many years, how many months and how many days using the above age calculation tool. Although there are some differences in the world in terms of the age calculation, almost all of the counties use the year concept which is located above in our calculation tool. This means that when you visit any country (US, Canada, Australia, UK, Germany, etc) and ask someone’s age, he or she will be using the age calculation method that you use. But in case you visit China, you may find some differences in age calculation there. Because in case your date of birth is on the first day of the Chinese calendar, you may need to add 1 or 2 years to your current age. This is why some people may be 2 years older than us. One of the most wondered about topics of many people is the age they are in. We need to emphasize that the age you are in is quite important. However, you will not use it when you tell someone your age because you need to tell the age you have passed rather than the age you are in. You will see this statement in many exams and legal applications; “have passed … age.” As you can see here, many institutions and organization state that you have to have passed a certain age. Example: You are 21. Living for 21 years and 11 months. In case there is a job application with a condition of 22 years, sadly you can’t apply to that. Because “have passed” means, you must have lived for at least 22 years. The biological age is a term which we can explain differently from the age calculation term. The biological age will not be calculated with a calendar. This depends on mainly on lifestyle, genetic structure and various environmental factors of the person. There are many methods to calculate the biological age. We have talked about what the biological age is in our age calculation topic in line with your questions. The mental age is one of the age calculation types that calculated depending on the mental condition of the person. This age has no scientific reality. This is the age type which is calculated by answering some intelligent and attention questions. There are no tools to do a mental age calculation on our website. Many people can have age addition or age reduction due to various reasons through courts. Of course, there are people whose ID was not prepared with their right date of birth due to many different reasons. For example, the child was born in villages where communication and possibilities are absent and they may have been introduced as a newborn to the government for the ID. In case you want to learn your real age, we suggest you type your real date of birth into the above calculation tool. Of course, in case you don’t know this information, you have to calculate based on what is written on your ID. In case you are calculating your age for legal issues and processes, you have to type in the date of birth on your ID. We see many kinds of software which manages to surprise us that can guess your age from a recent photo of you. This software has attracted the attention of millions of people and it is still in use. Of course, they can provide different results whether you have white hair or have glasses. Do not forget that these types of software perform a guess in line with specific criteria. How Can I Calculate My Age Mathematically? You can also calculate your age by getting a paper and pen. Of course, you need to know a few mathematical operations for this. You have to subtract the current date and your birth of date. After this operation, the result you will find will be the number of days you have been living for. After this operation, the result will be your age as well.